Visit the wonders of Petra, Persepolis and more! The following is a list of our upcoming Middle East and Arabia trips. If you are looking for something unique or not list here, contact us to discuss our custom tour options. To many, the word “Persia” evokes a distant land remote in time, the home of ancient monuments and striking works of art: carpets, tiles, fine ceramics, miniatures and metal work. Indeed, Iran is a world both ancient and contemporary, linking the heartland of Asia and the cradle of Western civilization, a bridge between East and West. This 14-day trip has been designed to give an understanding and appreciation of the country and its compelling history. 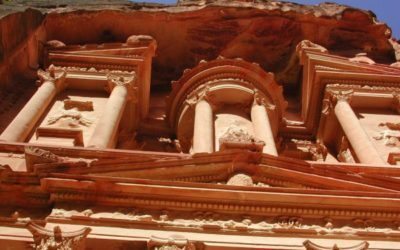 The itinerary includes several highlights, including Petra, the marvelous repository of Nabataean culture and a UNESCO World Heritage Site.